Garry Marshall will direct the New York premiere of Mike Bencivenga’s BILLY & RAY. Legendary director/writer/producer Garry Marshall will direct the Vineyard Theatre’s New York debut of Mike Bencivenga’s comedy BILLY & RAY this fall, with performances set to begin October 2 and an opening night scheduled for October 20 at The Vineyard, it has been announced by Douglas Aibel, Artistic Director, and Sarah Stern, Co-Artistic Director. Mr. Marshall will direct BILLY & RAY Off-Broadway, having directed the play’s critically acclaimed world premiere in the spring of 2013 at the Falcon Theatre, located in Burbank, California and founded by Mr. Marshall and his daughter Kathleen Marshall LaGambina. BILLY & RAY, a whip-smart comedy charting the birth of the film noir genre, follows literary odd couple writer-director Billy Wilder and novelist Raymond Chandler as they contentiously collaborate to adapt “Double Indemnity” for the silver screen. Set in 1940’s Hollywood, BILLY & RAY is the true story of how two brilliant and thorny artists battled the Hollywood censors and each other to create a groundbreaking movie classic. Casting and designers for The Vineyard’s production of BILLY & RAY are to be announced. Joseph Leo Bwarie will serve as assistant director with Mr. Marshall as he did on the Falcon Theatre production. 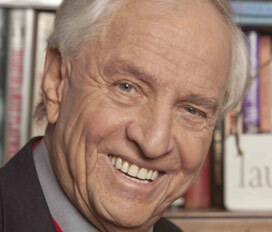 Garry Marshall (Director) is a veteran producer, director and writer of film, television, and theater. After graduating from Northwestern University’s Medil School of Journalism, he went on to create, write, and produce some of television’s most beloved situation comedies, including Happy Days, Laverne & Shirley, Mork & Mindy, and The Odd Couple. Marshall is passionate about live theater. His play, Shelves, was performed at the Pheasant Run Playhouse in St. Charles, Illinois, and The Roast, which he co-wrote with Jerry Belson, ran at the Winter Garden Theater in New York. In addition, he co-wrote Wrong Turn at Lungfish, with Lowell Ganz, which he then went on to direct in Los Angeles with Hector Elizondo, and in Chicago and Off-Broadway with George C. Scott. At the request of Placido Domingo, he made his operatic directing debut at Los Angeles Opera in 2005, with his own adaptation of Offenbach’s The Grand Duchess, starring Frederica von Stade. In 2007, he joined the San Antonio Opera to direct Elixir of Love, which received rave reviews. He has directed 17 movies. Among them are Pretty Woman, Beaches, Overboard, The Princess Diaries 1 & 2, Runaway Bride, Valentine’s Day, and New Year’s Eve. In 1997, Mr. Marshall built a theater in Burbank, California with his daughter, Kathleen, called the Falcon Theatre. Happy Days: A New Musical made its debut there, co-produced by his sister Ronny Hallin, who also produced the TV series. Mike Bencivenga (writer) is a writer and director of theatre and film, whose full length plays include SINGLE BULLET THEORY, COUPLETS, SUMMER ON FIRE and, most recently, BAD HEARTS. In 2013 BILLY & RAY won the prestigious W. Keith Hedrick award for best play. Mike has also written and directed two feature films, LOSERS IN LOVE and HAPPY HOUR (co-written with Richard Levine) starring Anthony LaPaglia, Eric Stoltz and Robert Vaughn. HAPPY HOUR received the Audience Award for Best Feature at the 2004 Florida Film Festival and the PRISM Award for Best Festival Film in Los Angeles. In addition, Mike is an Emmy winning producer for his work at WABC-TV in New York. 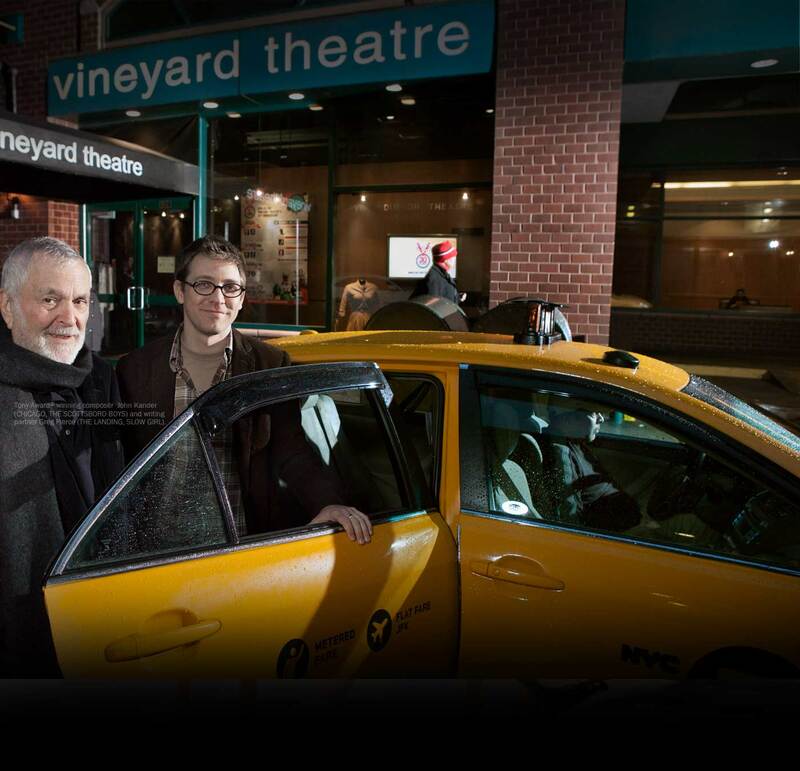 As previously announced, in the winter of 2015, Vineyard Theatre will produce the world-premiere musical BROOKLYNITE helmed by Tony Award-winning director Michael Mayer (HEDWIG AND THE ANGRY INCH, SPRING AWAKENING), with book by Peter Lerman and Michael Mayer, music and lyrics by Peter Lerman (winner of the Jonathan Larson Award), and choreography by Steven Hoggett (ONCE, AMERICAN IDIOT). In BROOKLYNITE, Trey Swieskowski is an idealistic hardware store clerk who dreams of becoming a superhero. Astrolass, Brooklyn’s most celebrated superhero, is determined to throw in the cape and live like a normal Brooklynite. When they meet they hatch a plan that will change their lives forever. But can they save Brooklyn when it suddenly teeters on the brink of disaster? BROOKLYNITE is inspired by the real Brooklyn Superhero Supply Company located in Park Slope, with characters created by Michael Chabon and Ayelet Waldman. Branden Jacobs-Jenkins, critically acclaimed playwright of APPROPRIATE and winner of The Vineyard’s Paula Vogel Playwriting Award, makes his Vineyard main stage debut with GLORIA in the spring of 2015. This funny, trenchant and powerful new play follows an ambitious group of editorial assistants at a famed Manhattan magazine, each of whom hopes for a starry life of letters and that career making book deal before they turn thirty. But when an ordinary humdrum workday becomes anything but, the stakes for who will get to tell their own story become higher than ever. Developed at The Vineyard, GLORIA is directed by Evan Cabnet (OUTSIDE PEOPLE). 2014-2015 season productions are currently only available by purchasing a membership. CLICK HERE to purchase membership online or call 212-353-0303.